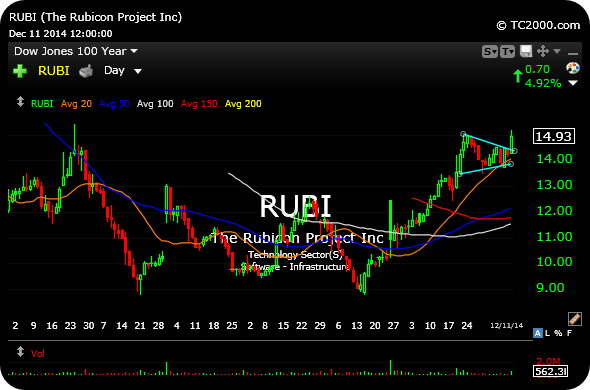 In addition to casual dining plays like RRGB TXRH, in the software space keep an eye on RUBI as another long idea on strength. If the IPO from last April can clear $15, seen on the first daily chart below, combined with a broad market which cooperates, I would look for a breakout higher. But if we see broad market downside follow-through to Thursday afternoon's fade, then on the second daily chart, below, I think it is finally time to take a shot at shorting LOW with a cover-stop above Thursday's highs. 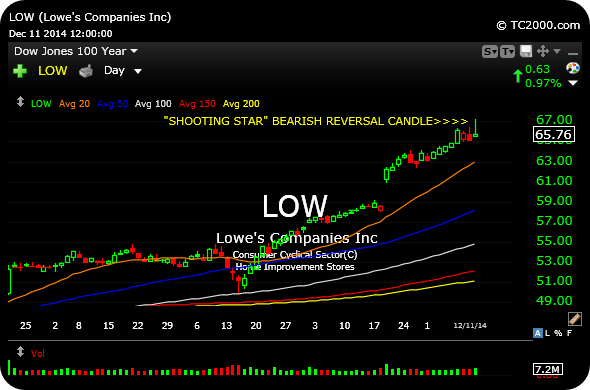 Note the bearish shooting star reversal candlestick (yellow arrows) after a very steep uptrend.